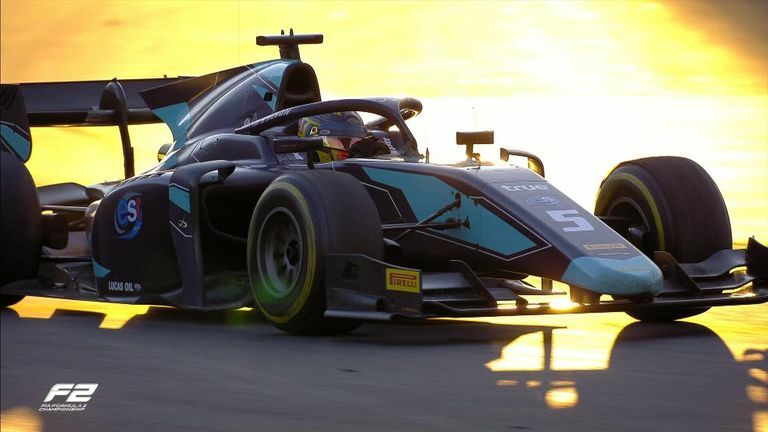 Alexander Albon took his fourth win of the season as he led home a DAMS one-two in the F2 Feature Race at the Russian GP. While other teams and drivers made mistakes, the London-born Thai driver was faultless on his way to victory. In the championship fight, it moves Albon above Lando Norris who endured a nightmare day, while George Russell extends his lead to 30 points. Starting on the front row, Norris had too much wheelspin and dropped to fifth on the opening lap, slipping further back as the race unfolded. WATCH: Terrible start for Lando Norris. And how was that not a huge crash as two cars get into the barrier at Turn One! Then when the 2019 McLaren driver mad his mandatory stop, he went to the wrong pit bay and when he did get to Carlin, left before the front-right was fitted. "Sorry guys, my mistake," Norris said over the radio as he retired from the race. Fellow McLaren junior Nyck de Vries also had a slow stop which potentially cost him a race win. The Dutch driver had to settle for third at the flag, behind Albon and Nicholas Latifi. In front of his home fans Artem Markelov put on a show, charging from 19th on the grid to lead at the start of lap seven. WATCH: He started P19, in less than 7 laps Markelov takes the lead! But the Russian was another to suffer from pit-stop woes. His pit-to-car radio had failed and the team appeared not to be ready when he made his stop, leading to a long delay and dropping him out of the points. WATCH: P19 to the lead – but it all goes wrong in the pits for Markelov. You needed a calendar to time that one! Championship leader George Russell drove a controlled race to take fourth banking more solid points. Reverse grid pole for Sunday's race went to Roberto Merhi who finished eighth and you can see it live on Sky Sports F1 from 9:15am.